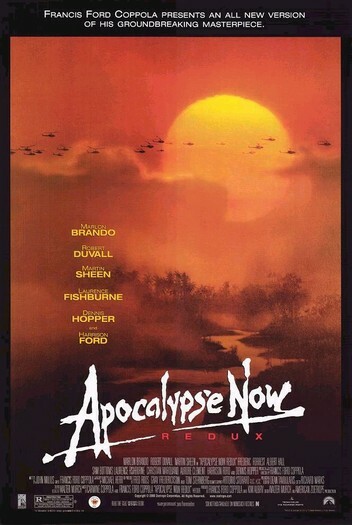 BLANK BLOG: Apocalypse Now ?? this is a very famous vietnam movie. in short martin sheen is sent of a mission to kill marlon brando. this movie was ok at best. the narration got old after awhile and seemed unneeded half of the time. i will give the movie that i thought it was some of martin sheen, robert duvall, and marlon brando best work and they carry the piece. so if you like vietnam movies or any of the actors i just said check it out. i love the smell of Travis? in the morning.